Cirque du Soleil returns to the San Jose with VOLTA, a captivating voyage of discovery. Inspired in part by the adventurous spirit that fuels the culture of street sports, VOLTA explores the themes of celebrating differences and unique qualities in a world where technology often isolates people from one another rather than freeing them. VOLTA will perform under the Under the Big Top, Santa Clara County Fairgrounds from February 13, 2019 to March 24, 2019. Access to the best seats and prices are available for existing Cirque Club members. 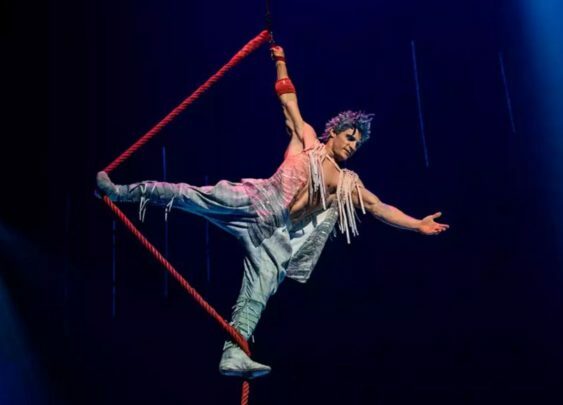 Visit cirquedusoleil.com/cirqueclub to sign up for a complimentary membership. Sorry, our Contest is over – If you want to double your chances of winning, you can also enter on our Instagram page.